There is no good or terrible. It's your opinion. Write it however you want to. Don't worry about how others will judge. You've seen the blog(s) I write on. We're professional, but we don't pull punches. I offer credit where credit is due, but I pride myself on being honest. I certainly don't love everything I read, but I try to recognize if that's due to subject matter, genre, quirky writing style, our just plain poor authoring skills (like horrid plot-holes, excessive grammatical/editorial failures, etc). Yep. This post is more aimed at those authors who think they can control the message. 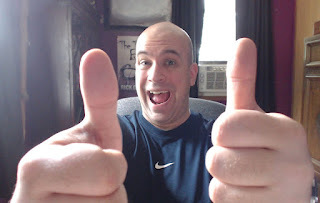 I write book reviews as one facet of my blog, and I try to focus on these things: the main idea of the novel/story, a teaser of what it's about (no spoilers), whether I liked it and why (subject matter, etc), and a bit about the author. What I avoid and what many focus on are critiquing the author or his writing style. 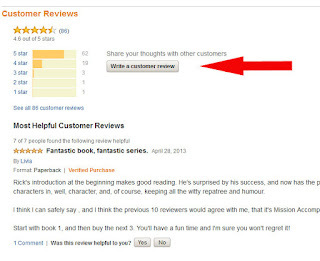 If a reader wants to know that, there are many other reviews they can search for. My purpose in reviewing the books is to advise readers about the book, not analyze the writer. If I'm totally turned off by the book due to grammar, swearing to exhaustion, or excessive erotica, I'll not be reviewing it. I would rate it on Amazon if the book was a purchase. I don't solicit books, but I will try to read and review books sent as a gift along with those I discover on my own. The question that consumes many book review discussions: is a review of the book also a review of the writer? Not IMO. I like to write humorous reviews on Amazon that still attempt to review the product fairly. I'm usually only moved to write a review by something that was so totally amazing that I just couldn't contain my positive emotions and had no other legal means of releasing those feelings; or by something that so-totally-didn't-live-up-to-the-type (think Spinal Tap's 18-inch Stonehenge). What drives me nuts are the people who think all reviews have to be serious and dry, to whit: "I also purchased this toaster oven. Where is the "Thermo-nuclear" setting you describe?" Im with you. I love some of the hilarious reviews on Amazon or Goodreads. Doesn't matter if they're gushing or scathing. I love reading reviews. I love reading books. 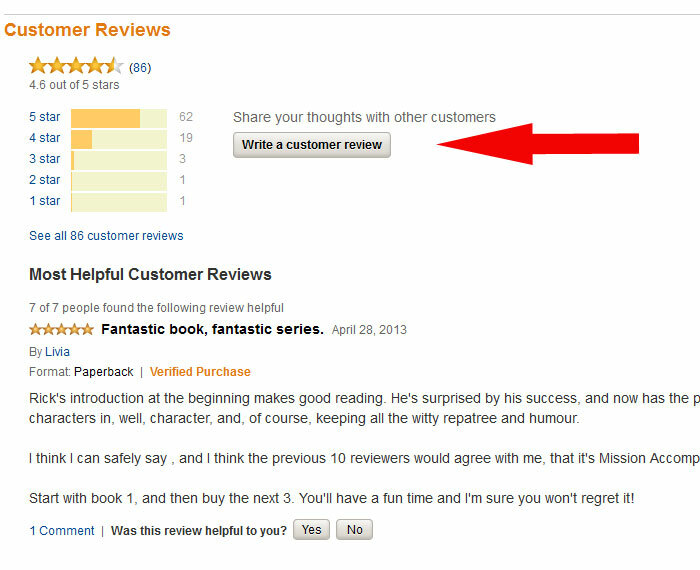 I therefore write reviews that I would like to read. I am in No Way A Filthy Spammer.